Hello! I'm participating in the Grow Your Blog hop that Vicky from 2 Bags Full is hosting this week! Welcome to my "main" blog. This is the blog where it all began for me. I'm not going to lie to you, I began blogging back in the very beginning of 2011 because I knew that women were making money blogging. . . . . . somehow. I was upset that we didn't have enough money to keep my kids in the Christian school that they attended. I didn't have a clue about blogging. I truthfully don't even know why the word "blogging" popped into my head that day. I think maybe I had seen some bloggers on Oprah. . . in passing. . . . I don't even think that I watched the show. I think I was flipping channels, but for some reason when I needed to figure out how to make money from home that popped into my head. Everything that I read said that you had to have a "niche" to be successful. The thing about niches is that it's only one specific thing and I like A LOT of different things. I love cooking, sewing, kids' crafts, sharing my feelings, beauty, makeup, helping people, causes and charities, fitness, nutrition, DIY projects, decorating, reading. . . . . . . I think you understand what I'm saying, right? I just couldn't narrow it down. I love everything. I eventually began to make money on this little ol' blog, but it was taking a lot of my time and my family just wasn't on board with that. So, I took a break from blogging. Now I'm back to blogging, but it's different now. Back in 2011 there were a lot of community get-togethers "just because." I'll call them good old fashioned blog hops. These were the blog hops when you would just link your blog, not a specific post. You would go visit people, they would visit back. It was fun. I miss that. So, I was hoping that this "Grow Your Blog" hop would be like that. I'm excited to join in and meet some new people. If you have no idea where to start on my blog, I've chosen one post from each year that I enjoyed writing or that meant something special to me. I was re-reading some of my posts yesterday and it's funny how young my kids were when I began and how quickly life goes by. I read some of those posts and thought about how I really need to re-read those posts and put some of those things back into my heart again. From 2011: Learning to NOT say "No"
From 2013: You can see the adventure that some of my friends and I had in Punxsutawney for Groundhog's Day on my friend's birthday. So, Welcome to my Blog! I hope we can be friends. I look forward to visiting with you! So pleased to meet you through GYB - I too blog about a lot of different things, so I get what you're saying, your blog looks to be a lot of fun. Count me in! Me again, just popped back to say thank you for your comment on my blog, I couldn't reply directly to it for some reason so here I am.. Glad we have so much in common & looking forward to a few laughs together this year! Hi, greetings from Normandy, France. As one of the lovely Vicki's GYB volunteers I popped over to meet you and what a pleasure it's been! 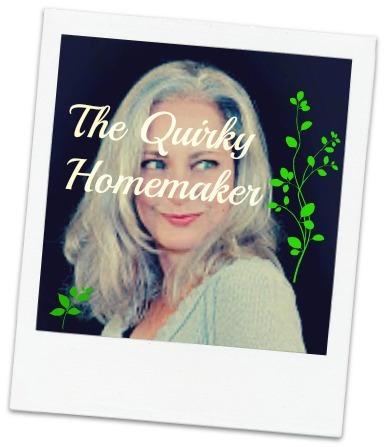 Reading about the Quirky Homemaker really made me smile as "trying to figure life out" is something I continue to do every day! Really hope you get the chance to head across the Pond and visit me in Normandy sometime soon, enjoy the party. I think you may be right--blog hops worked better a few years ago. People seem to have lost the art of participation! If you want to grow your blog, there's really one thing you have to do: read other people's blogs. 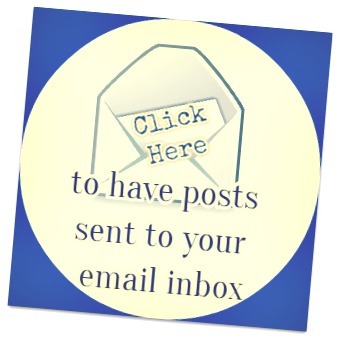 I participate in a lot of blog hops and most people just don't read other blogs. They post theirs and go on with their lives. Each April, though, there's a HUGE A to Z challenge that seemed to have gotten me quite a few followers. You just post every day (except Sundays) on a topic you choose. Start with A and go to Z. I highly recommend if you can dedicate a month to it! Amen to what Stephanie Faris said! Blogging is a success when we take the time to visit other blogs and connect with people. Anywho... I am visiting from the Grow Your Blog party and had a lovely time reading through your posts :) Have a fabulous week! Hugs! Loved your bio in your sidebar! I'm a few years ahead of you age wise and I'm still trying to figure life out... lol. I strongly believe that if a person is growing and learning (as we are meant to), then one never does have life truly figured life out because where would be the adventure in that. I loved reading your sidebar! Life is full of contradictions isn't it? I guess that's what makes it interesting! Enjoy the blog party. So glad to have you visit me and leave me a comment so I could find you! Love the recipe ideas for the upcoming week...I don't mind to cook but hate to think about what to fix. Thanks for visiting my blog for the Blog Hop! I love seeing all your varied interests and blogs! Stopping by from GYB, I know what you mean about having a lot of interests! My husband says I have a short attention span, LOL! Thanks for sharing your posts. Blogging has become such a part of my life - this is the first time I've participated in a blog tour and I'm finding it to be such fun. Last year I missed the sign up but I so much enjoyed going around and paying a visit to so many bloggers, many of whom have become constants in my life. Thanks so much for inviting us over for a visit with you!